PARTY is an international project founded by Horizon 2020 EU program and coordinated by University of Lapland in Finland. It is focused on developing cooperation throughout exchanges of professionals in the field of research and innovation in order to share knowledge with local actors in Namibia and South Africa and international aid organizations. 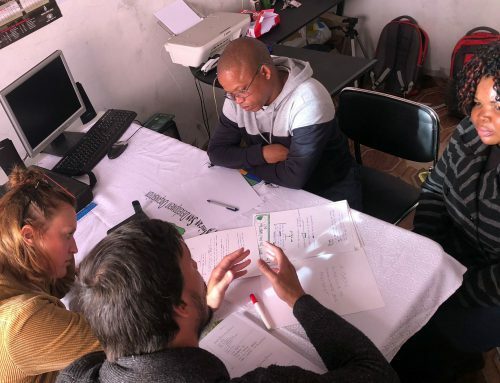 The project aims to endorse human development and assist in reducing youth unemployment by increasing the involvement and inclusion of young people in service development in South Africa and Namibia by using participatory and explorative service design tools. It is a collaboration with University of Lapland, University of Leeds, Cape Peninsula University of Technology, Namibian University of Science and Technology and SASI. April 2017, Silvia Remotti (one of the PACO founders) and I were on our way to Namibia in southern Africa to promote workshops with the youth community from the San villages. The main goal was to assist them in developing their ability to understand and analyze problems and to generate creative solutions for them. The double diamond methodology was used as a reference for structuring the workshops that were adapted according to the available time and resources. 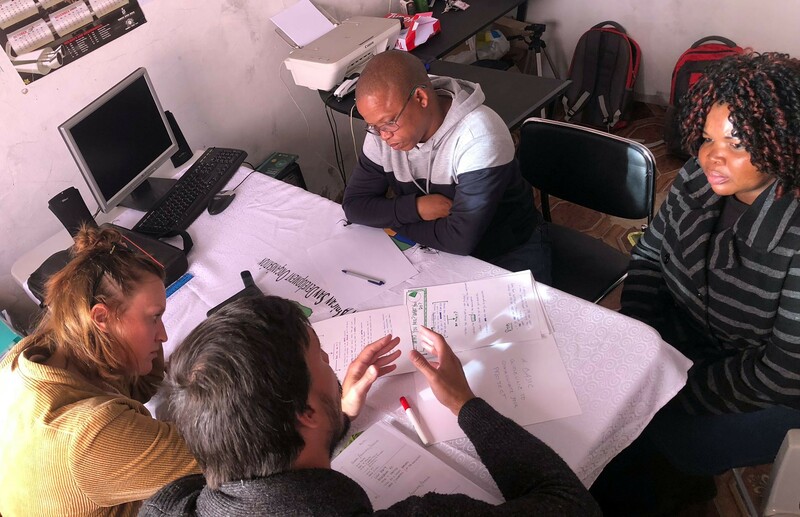 In this mobility, three workshops were carried out in which the participants would develop a service design project according to the main theme they had previously defined. Community Development – How can our village get access to skills, knowledge and better life quality? In our first workshop, after a coffee, introduction and ice breaking, the youngsters were divided in 3 groups to start the brainstorming. We explained what this tool was, how it was used and we participated to offer all possible support. Creating a system in which the students would come back into their villages for a short period of time to offer free knowledge to the community, based on their acquired experiences living in the city. A community group led by the youth, that aims to raise awareness about water issues within the villages, such as, ways to save and purify water and new opportunities to collect and distribute it. Raising awareness of the importance of literacy education in villages focused on two target: the elderly and the young members. After the lunch break, each group detailed the project by answering basic questions: WHAT is the project; for WHO it is designed; WHY this project will be created – what is the value proposition? ; and HOW to develop it. They also defined actions, stakeholders and resources needed with a simplified version of the service blueprint tool. Thinking action by action the participants were pushed to understand more in details how their service works. In addition to designing, it is also very important to know how to present a project. Therefore, the participants had a lecture with Dan Brackenbury from Leeds University on how to make a pitch. To help them creating their own presentation, we distributed two posters per group. In the first one, a drawing should be made to create a narrative about the context of their village and the problems found there. In the second poster, they should give a solution explaining what their project is, how it works, and the resources needed to put it in practice. The students rehearsed the presentations with each mentor and with the whole class after an energizing session. The final meeting with the students was actually an event in which they would present and promote their projects to the stakeholders in order to find partners to help them to implement the first prototypes. This was a remarkable event for them, as important organizations such as //Ana-Jeh San Trust and Namibian government secretary were present. This series of workshops helped the students to develop a critical mindset and to have a design thinking mental process when facing problems. In addition, this project offers the opportunity for them to be in contact with people from all over the world to exchange information, cultures and generate personal growth. But our participation doesn’t end here. Stay tuned to read more news about PARTY Project!